Hilary Duff kisses Matthew Koma on sweet sushi date -- see the pic! 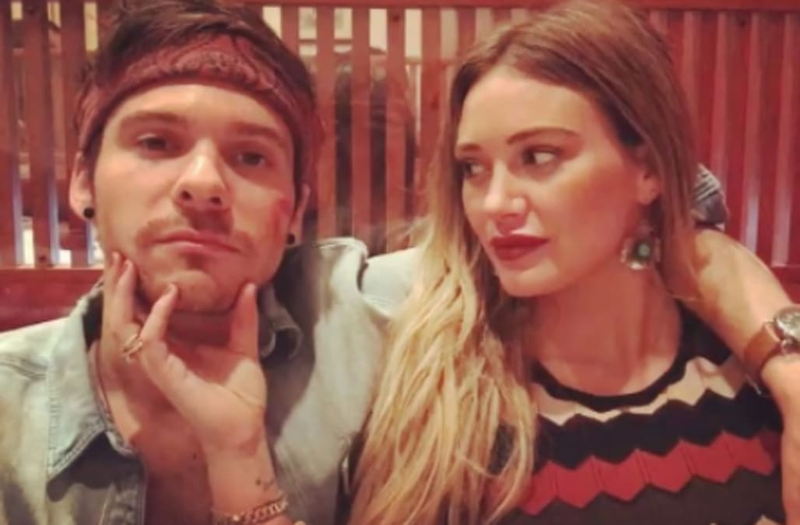 Are Hilary Duff and Matthew Koma back together? The Younger star and the 30-year-old singer appear to have rekindled their romance after Duff posted a Boomerang on Tuesday of their sweet sushi date. In the clip, Duff turns Koma's face to the side and shows the red lip marks on his cheek that she left after giving him a big kiss. "🍣🙎🏻‍♂️💋💋💋. ." she captioned the Boomerang. RELATED: Hilary Duff Slays in a Black Bikini With Her Ex and Son: Pics! Duff and Koma were first romantically linked in January, displaying plenty of PDA in the following months and vacationing together in Costa Rica. ET then learned in April that the two had called it quits a month before. In July, the former Disney star was spotted cozying up with businessman Ely Sandvik. The fling appeared to have been short-lived and she's now spending more time with Koma. Earlier this month, Koma shared a throwback pic on Instagram of him and Duff lovingly gazing at each other. Meanwhile, Duff continues to spend co-parenting time with her ex-husband, Mike Comrie. The exes recently enjoyed a relaxing beach day with their 5-year-old son, Luca.